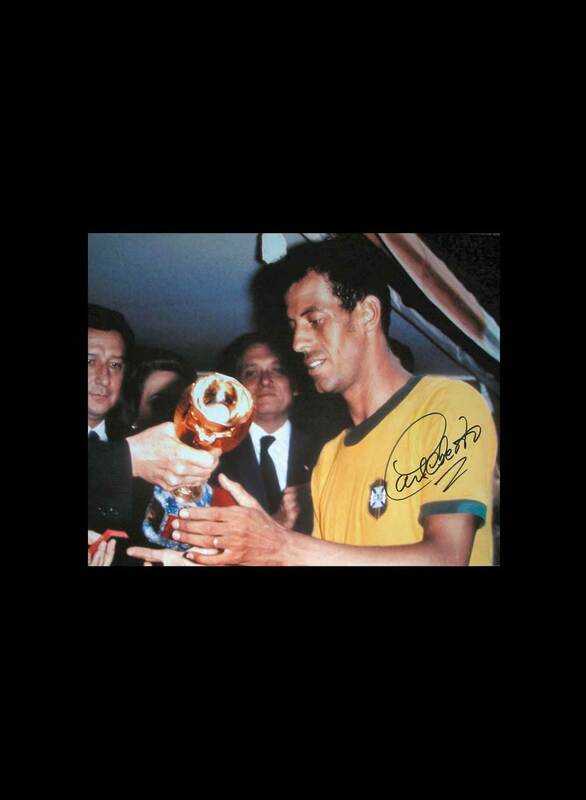 Here is a 16×12 inch photo of Carlos Alberto receiving the Jules Rimet Trophy after Brazil’s 4-1 victory over Italy in the 1970 World Cup Final. Carlos Alberto Torres is one of the most highly regarded defenders of all time. 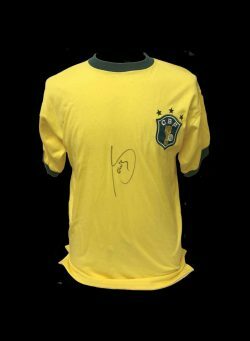 He captained Brazil to victory in the 1970 World Cup and is a member of the World Team of the 20th Century. 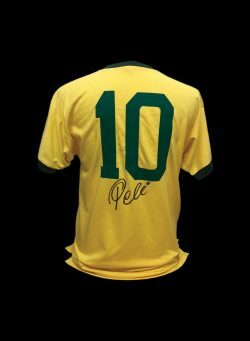 Carlos Alberto was named by Pelé as one of the top 125 greatest living footballers in March 2004. 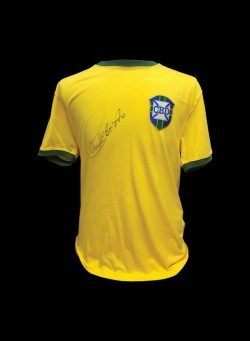 Socrates signed Brazil 1982 shirt. 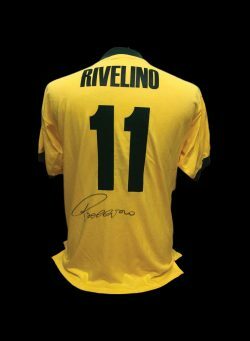 Roberto Rivelino signed Brazil 1970 number 11 shirt.